Security is an essential element of any application and increasingly critical for API-driven architectures in hybrid and public cloud environments. New threats and vulnerabilities emerge constantly, and enterprises find themselves struggling to protect these APIs from attacks. 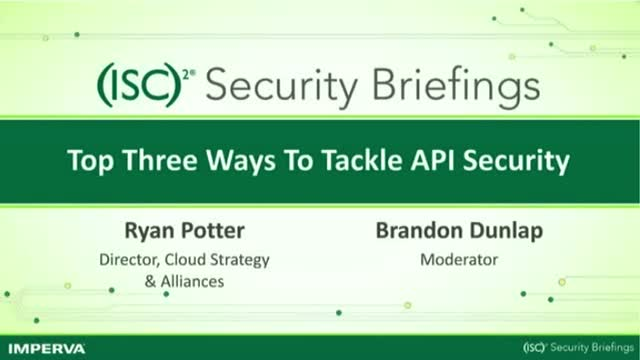 Join Imperva and (ISC)2 for Part 2 of our Security Briefings series on March 8, 2018 at 1:00PM Eastern where we will discuss proven approaches to making API security a priority through understanding how common types of attacks such as distributed denial of service (DDoS) can target APIs, what are the steps to proactively secure development frameworks, and how to enforce identity across enterprise environments.